Well, I decided to do something a little different from what I normally do for the sci-fi challenge, as my every attempt at meshing asploded on me. It's a little less elaborate than I'd hoped at first, but they're still very functional. 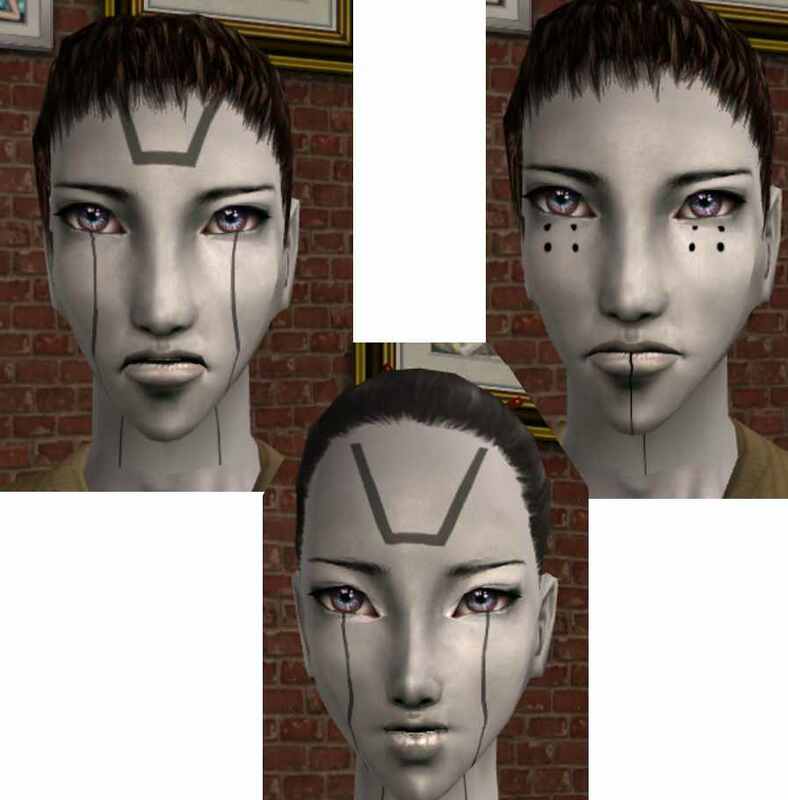 There's two types, one with the little inverted trapezoid on the forehead and the two lines under the eyes, and another with a set of four dots underneath each eye and a thin line going down the center of the face from the lower lip. These are all multi-wearable and can be found under full face makeup. They work for both males and females, with the first type having four colours, green-grey, green, grey and black, and the second set only having black and green. 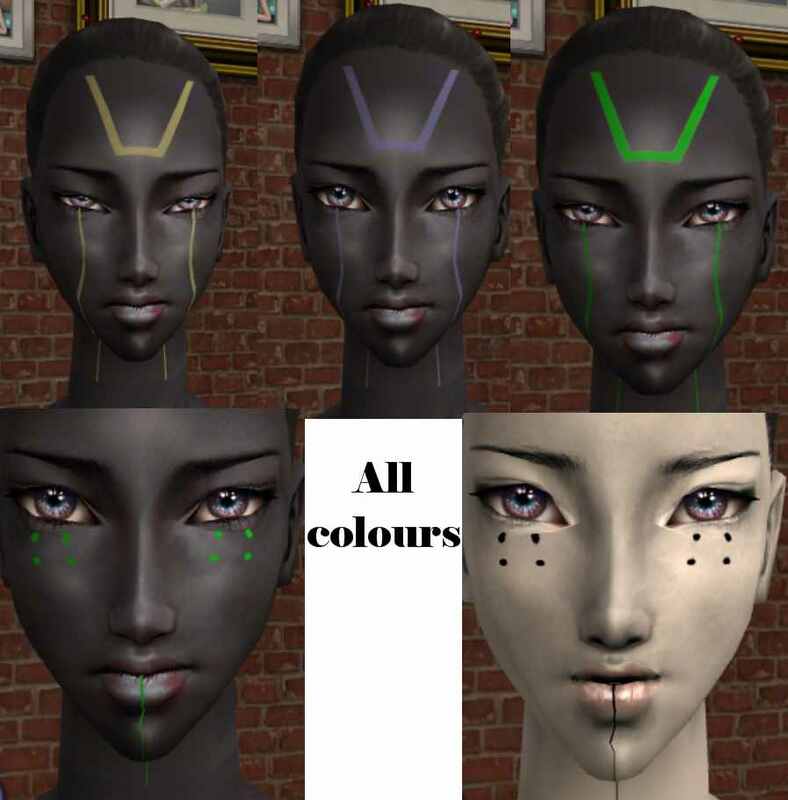 The two greys work best on darker skintones while black and green look best on lighter skintones. There's a little problem where the very top of the inverted trapezoid will not connect directly with the hairline on some hairs with very high hairlines. This is shown in the images where the model is wearing the maxis bun hair. Another thing that I haven't pictures is that the lines that go down the front of the face also go down the back of teh neck. I dunno how to fix that, sorry, so if you don't like that I suggest using a little longer hair. These are very small issues though. I hope you like thems! I believe the eyes are by yumedust, but I could be wrong. Hair on the female models are by maxis and Nouk, while the hair on the male model is by HP. None of the models are wearing any other makeup. 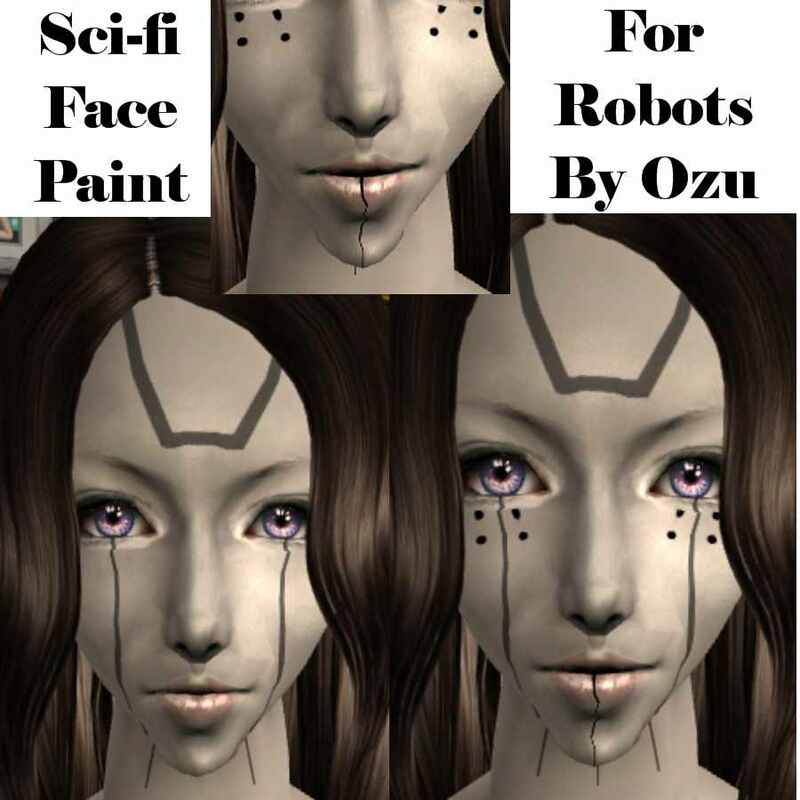 Extra thanks to the tutorial on making makeup multi-layerable!